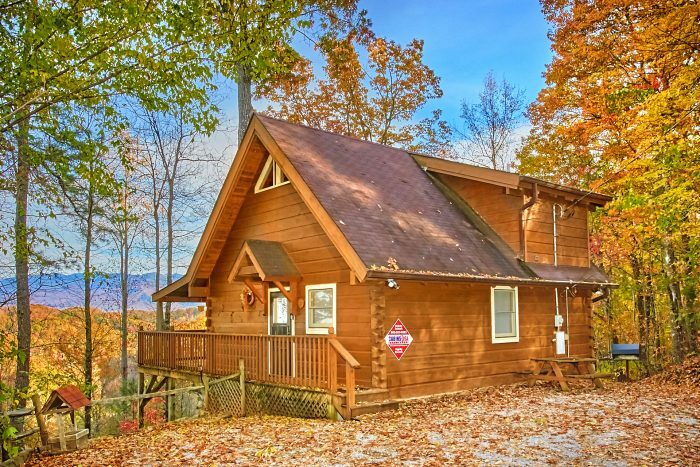 "Oakland #2" offers vacationers a very secluded PRIVATE Smoky Mountain cabin rental. 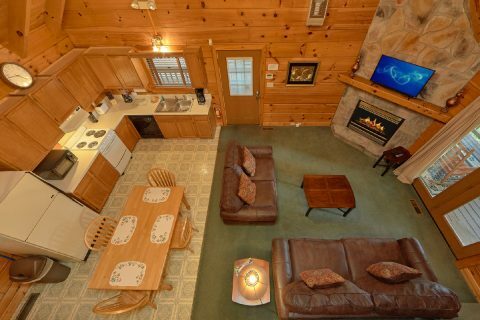 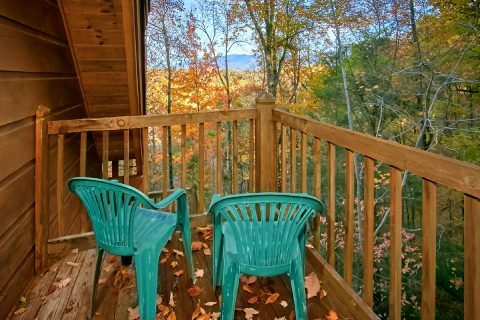 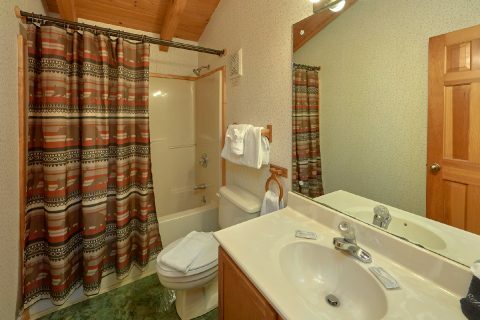 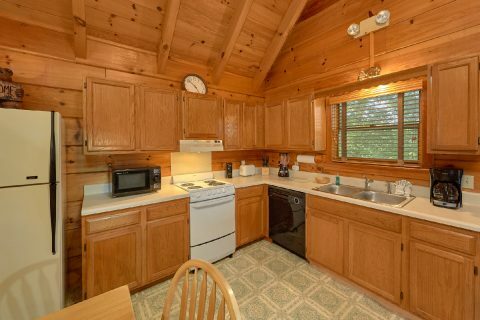 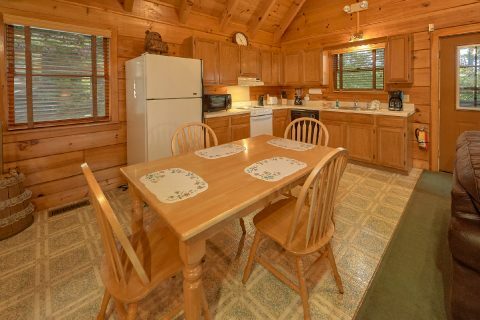 This private 2-bedroom cabin rests next to the Gatlinburg Glades Arts & Crafts Community. 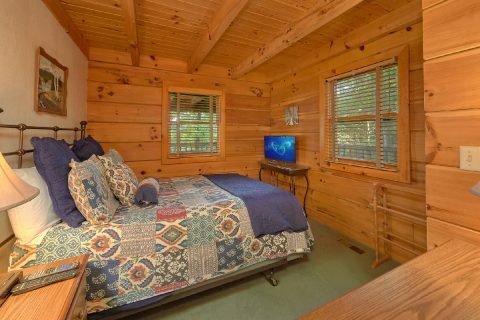 Many of our guests comment that the Glades' charming craft shops and restaurants offer a day's adventure in itself. Minutes from downtown Gatlinburg and Pigeon Forge attractions, your secluded private Smoky Mountain cabin rental provides fast access to hundreds of indoor/outdoor activities in both cities while still placing you in a wooded mountain setting. 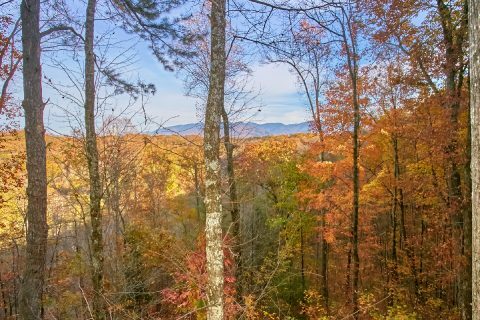 The 12+ acre lot offers its own mountain stream, giving you an authentic mountain experience. 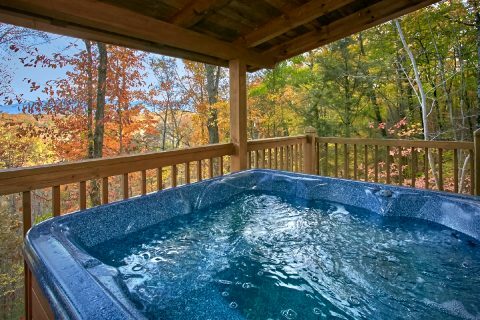 You can enjoy all the sights and sounds of nature from your private 2-bedroom cabin's large deck with rockers, swing, and hot tub. 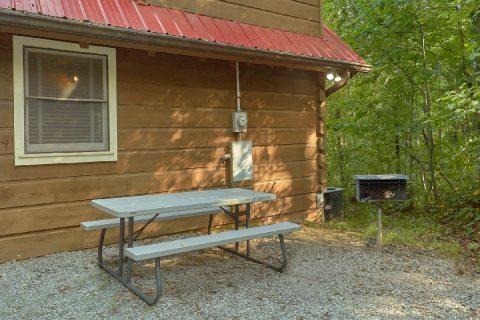 The charcoal grill and picnic area offer a chance to enjoy a meal cooked in the mountain air. 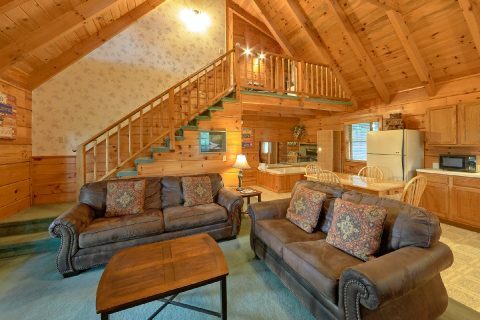 Inside, you'll find a Smoky Mountain cabin rental interior that invites you to unwind and relax. 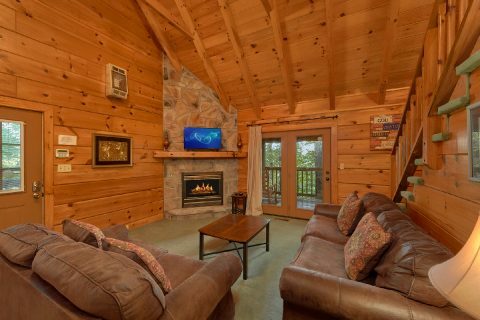 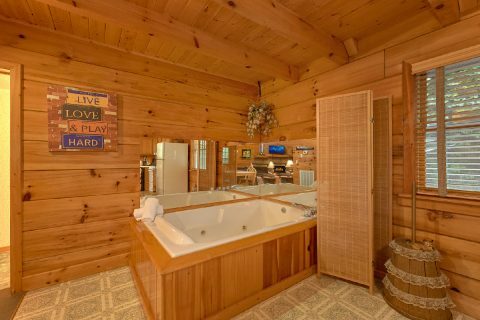 Your secluded private Smoky Mountain cabin rental features a welcoming living room with sofa bed and corner fireplace, a dine-in kitchen for those family meals, and a relaxing jacuzzi tub. 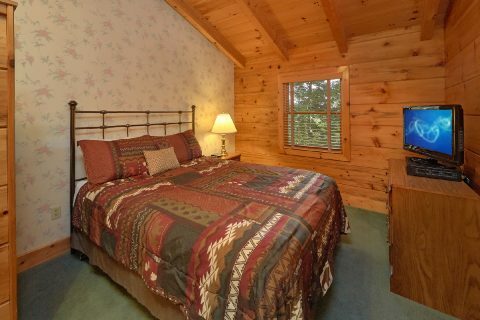 When it's time to turn in for the night, either of the two queen-size bedrooms gives you a chance to enjoy a good night's rest. 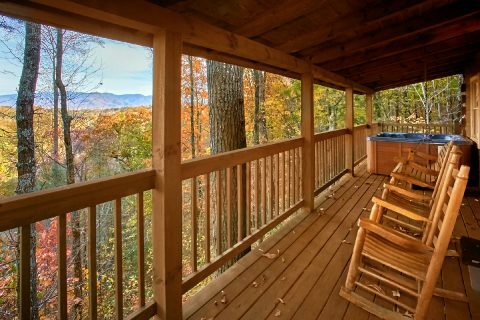 BOOK your secluded private Smoky Mountain cabin rental ONLINE for immediate SAVINGS!